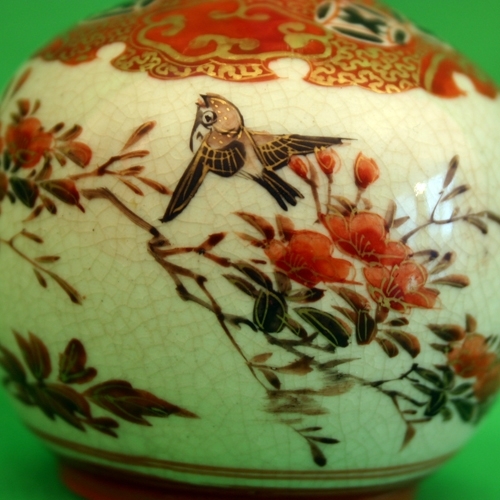 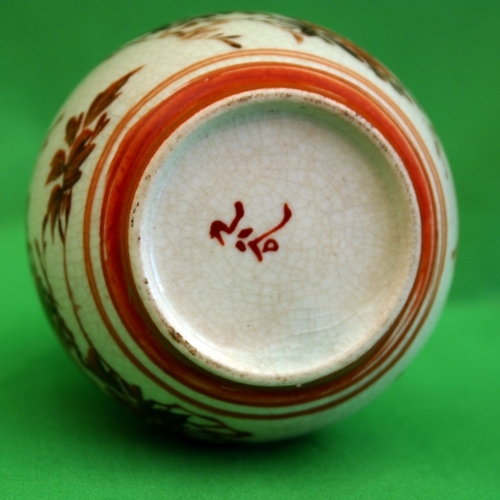 Satsuma is a Japanese pottery with a distinctive red, blue, orange, green and gold colors. 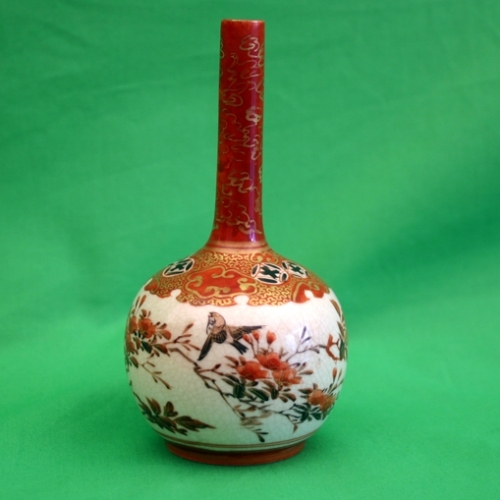 Almost all Satsuma found today was made after 1860. 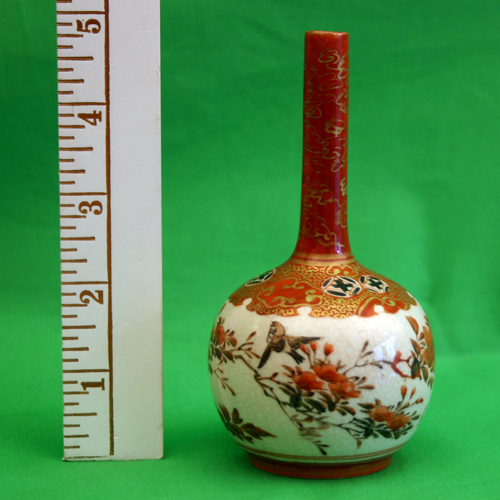 The detailing on this little vase is exquisite.